Introduction: from Jane Scott, Naturopath. Working from my practice as a naturopath, I have gathered a lot of experience with Moringa leaf powder regarding the welfare of animals. 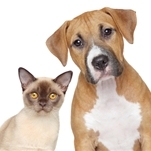 For many years I have treated animals in my practice for naturopathy. The results I have achieved through the use of Moringa, are amazingly good. I advised the owners of sick or distressed animals that came to my practice, to add Organic Moringa Leaf Powder to their daily food intake (mostly cats, dogs, and horses, sometimes caviars, rabbits and other small rodents.) The effects were amazing. Moringa is an extremely powerful nutritional food for animals, packed with vitamins, minerals, vital proteins, antioxidants, anti-inflammatory agents and omega oils 3, 6 and 9.
strengthening joints, muscles bones, and teeth. Moringa doesn’t just affect the physical body of an animal. It works holistically. Moringa helps your pet to feel good. It contains a lot of magnesium. Magnesium deficiency can lead to depression. Moringa reduces stress and increases the ‘happy hormone’ in the body creating a complete sense of well-being. Moringa relaxes the body and has a calming effect on a hyperactive temperament. The Phyto-pro-vitamins in Moringa can help relieve angst and panic. They have a favorable effect on the stress threshold and provide long-lasting energy – (for example, very good for frightened horses). Do not wait until your animal becomes sick before adding a daily dose of Moringa to the diet. Even with healthy animals, a daily dose of Moringa can add to the vitality and a general feeling of well -being! NOTE: It has been noted that even with healthy horses, adding 20 mg of organic Moringa powder to the diet every day increases stamina and performance!